Interns are an integral part of Teqplay. By facilitating multiple internships we share our knowledge and contribute to a solid education for the future generation of developers…. and tap into the pool of new talent. 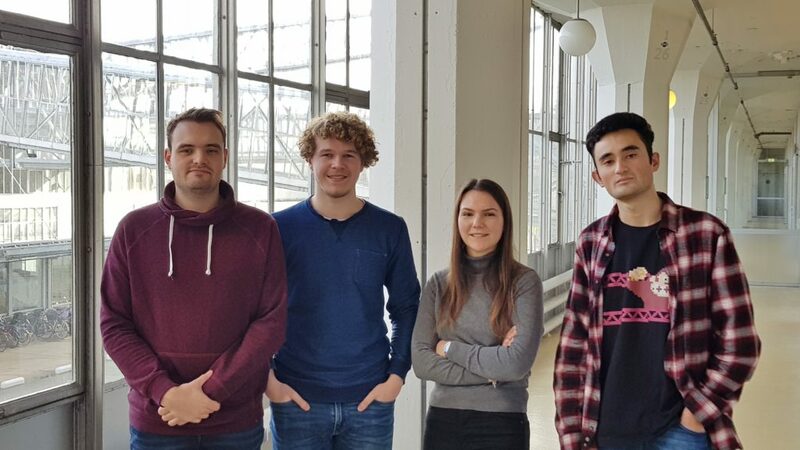 “Our coaches are available if we need them, but above all, the internship was a great learning experience.” Maurice and Joost worked together on RiverScout and developed a route planner for ships. Maurice worked on the back-end and more specifically made sure that both the graph of the fairway network was correct and getting route results quickly. “I learned how to work with a new programming language called Kotlin. I appreciated I could show my skills and share what I’ve created with my colleagues.” After his internship Maurice will start as a developer in our team. He will continue working on RiverSchout and expand it and its features. Interns are part of the Teqplay team. At the start of every workday, the entire team starts with the stand-up. We lunch together and to clear our minds, we like some competition by playing foosball and table tennis. Of course the interns join in on these typical Teqplay habits! The internship is a complete experience where the interns get the chance to grow both personal and professional. After all, an internship marks the start of their careers and the first blow is half the battle!